Ask The Trades - What is this white box? Ask The Trades › DIY Forum › DIY - Plumbing Questions › What is this white box? Re: What is this white box? It's exactly what The Scruff says it is. The receiver part for a wireless room thermostat and/or programmer. There should be a separate piece of kit - not connected to anything - battery powered. Could be anywhere in the house/flat. It will have some pushbuttons and a small screen/display. The green light indicates that the mains is on. The light underneath will come on when the thermostat/programmer wants some heat. The grey button overrides the wishes of the thermostat/programmer and allows you to turn the heating on by pressing it. It's a Honeywell BDR91 receiver for a wireless room stat. The switch is most likely to isolate the boiler and accessories, should be fused 5amp. There is absolutely nothing written or printed on the white box to give anybody a clue what it is or what it's for. Sounds like a receiver for the wireless room stat, is there a make/model anywhere. 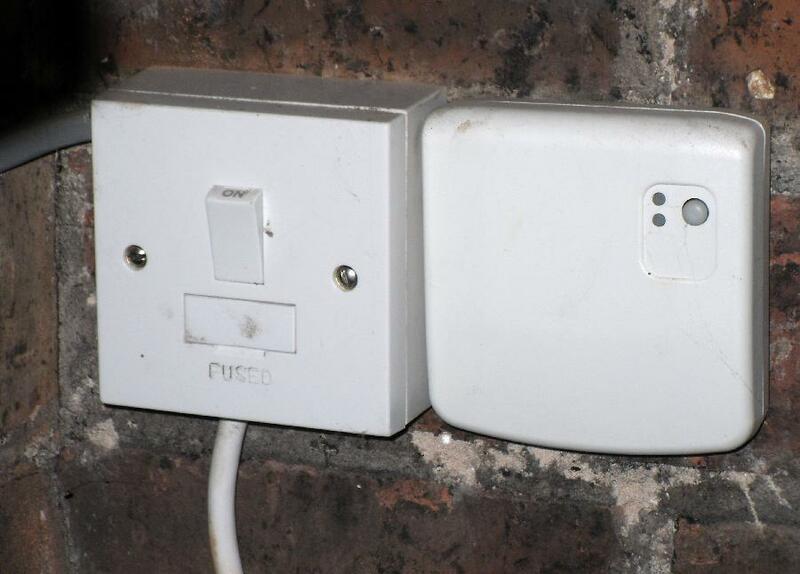 On the wall next to my Baxi boiler is an on-off switch identical to several light switches in my garage. 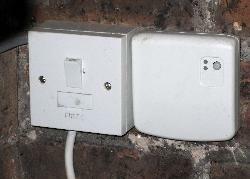 Adjacent to the switch is a similar sized white box that has two very small lights, one above the other. Next to these lights is a small grey pushbutton. The upper light is green when it is lit. I've never seen the l lower light lit. Can anyone tell me what this box is, what the lights indicate and what the grey button does?